The DAC should be the most perfect of audio components. It does a simple job of converting digital to analogue. The steps are straightforward. 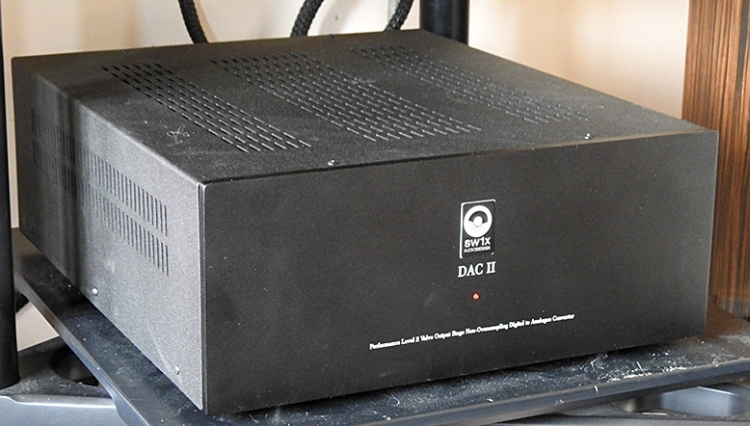 The DAC receives a SPDiF signal and converts it to a digital stream. 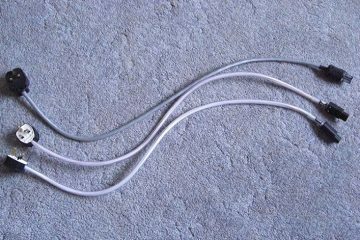 This stream is fed to a DAC chip that converts the digital stream to an analogue signal. This low current signal is converted into a high voltage and finally sent through a preamp/buffer into the cruel wide world. So one approach is to use the latest chips for the SPDiF receiver, the latest ESS Sabre chip for DAC duties and low noise opamps for the preamp/buffer. 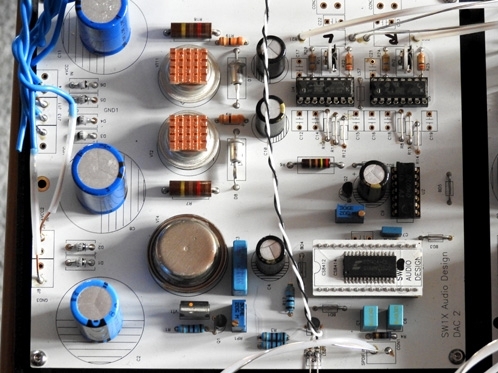 These components can be fed by a small power supply unit. Straightforward and the DAC will measure perfectly. As it is perfect then all the different DACs made this way will not only measure perfectly but they will all have a similar sound. And they do. They are all very competent. Listen to them and ask yourself do they sound like music being played by real people? Do the voices sound as though they are coming from real people or are they facsimiles with paper thin images? Where is the 3D head and body of a real singer pouring out their emotion? Is the music accompanying the singer adding to the overall impact of the song? Is the bass closely integrated with the music, driving the song along, or is it slow and sounding like it is coming along on a 42 bus half an hour later? Some audio designers, after trying their best to get real music out from formulaic DACs tried a different route. The first of these designers was Ryohei Kusunoki, who decided to rebel against the use of the then fashionable oversampling and digital filters. These filters were said to be necessary to allow the music (20-20kHz) through, but the filters had to stop the carrier signal getting through. This was at half the sampling signal of 44.1 kHz at 22.1 kHz. The answer was to use brick wall filters. The end result was to let 20 kHz audio through but heavily filter 22.1kHz noise. Brick wall filters were known to cause problems so oversampling was also done to help ease the problems caused. But what impact did this have on the music? Significant, with the cure being worse than the cause. Kusunoki, therefore, decided not to use brick wall filters. In fact, he suggested using no filters or oversampling. Non Over Sampling, (NOS) was born. That, of course, would allow the ultra-sonic noise to come through and make the measurements bad. True, but what did the NOS approach sound like? Kusnoki listened and liked what he heard as it allowed digital to start to sound like good analogue. Kusnoki decided this was a better way forward and he wrote a paper proposing NOS DACs. A few other designers tried his idea and heard the same thing. 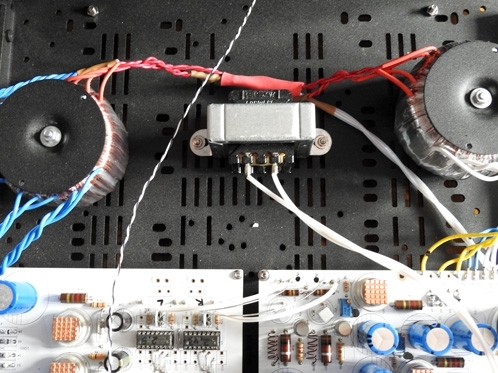 And to cap it all off, rather than using low noise opamps, they used discrete component (valves) for the preamp/buffer because it sounded better. The natural roll off of the valves helped to reduce the ultrasonic noise. A few brave souls at Audionote, Kondo, 47 Labs, DDAC and the new boys at Metrum Acoustics followed suit. And so has SW1X Audio Design. This is a small company that does things differently and focusses on the music and not too much on the hi-fi. The main man, Dr Slawa Roschkow has spent many years getting his DAC designs right. 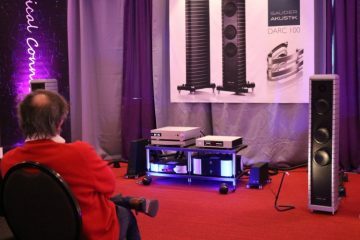 He is not only very knowledgeable about the technical aspects of these DACs but he actually listens. 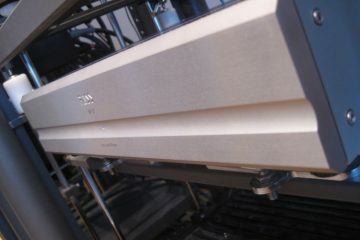 Yes, novel……use the DAC for its main purpose, making music. Not producing superb numbers to ten decimal places but how does it sound and is it like music. So the SW1X DAC II Special comes in a neat half-sized box (Height 130mm, Width 335 mm, Depth 410mm, Weight 9.2Kg) which resembles the Audionote 2.1x I have at home but it is slightly bigger and has a much thicker and less resonant lid that covers the top and sides. It looks purposeful and does not have unnecessary bling. The SW1X DAC II Special has a SPDiF receiver chip that feeds 2xPCM 56K chips for the digital to analogue conversion. These chips are R2R DACs and not the dreaded delta/sigma chips. And yes there are two of them as they are mono! No filters, no oversampling. The I/V conversion is active and unusually uses a transistor, not the usual resistor as it sounds better. The Std model uses a Silicon transistor but as you go up the range a Germanium transistor is used that gives a much warmer sound. 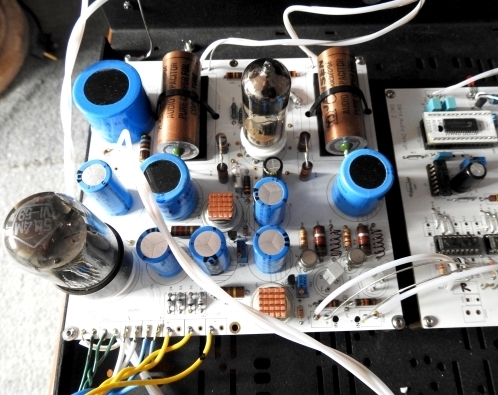 And finally, the preamp/buffer uses discrete components including New Old Stock tubes. There are more details on their web page. 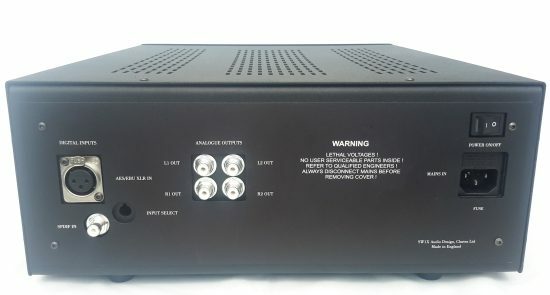 This box has a digital SPDiF RCA input, an AES/EBU XLR digital input and two sets of RCA outputs……and that’s it. Slawa tells me he can supply a USB/SPDiF converter. OK, enough of the taster what is the main course like? I put the SW1X DAC II Special on to burn in for a few days before listening. Gosh, what willpower. OK in it goes into my main system, an Audionote CD4T transport, an Auralic Aries with upgraded PSU, a Pass Labs XP12, a Pass Labs XA30.8 power amp and a pair of Audionote E Silver Signatures. 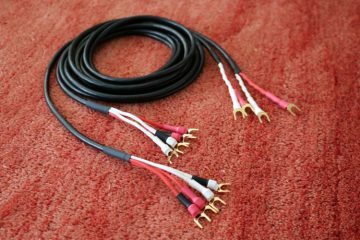 I used a mixture of Audionote cables including Black Pallas. 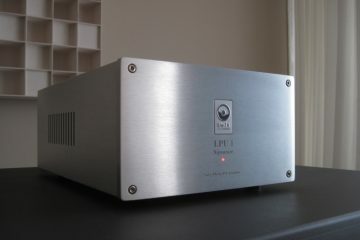 (My Audionote valve amplifiers are away at the moment). I started with my list of test racks that allow me to hear what is happening using a wide range of music. This list includes super jazz recordings, heavy rock, girl/guitar and outright aggressive and tight guitar and drums. Starting with Dawn Langstroth’s Highwire and the track Enough for Two, this is a well-recorded track from Linn (yes I know she used Autotune) and the whole track sounded like a really well-integrated piece of music. The drums and bass keep the music going at a gentle but steady pace with her voice coming from a real 3D image. Not a paper thin copy of a singer. The bass has real swing and dynamics with real tone. I then tried Highwire Heart that has a well-recorded bass that just flows. There was no staccato falsely timed bass (pip, pip, pip) but the music had real flow. This was good. Finally, from this album, You Don’t Want Me……there is real pathos in her voice as she recounts a failing relationship. She knows it is failing but does not want it to. (Get a control of yourself man this is a review). Now a real change of gear. Dream Theater’s Dystopian Overture. This is real prog rock with multiple instruments and synths. In the middle of the track, there is a ‘kitchen sink’ moment with all sorts of instruments being added to the mix. It takes a good DAC to keep them separate and easy to hear. It takes a really good DAC to give you that sense of desperation of a dystopian future. And yes the SW1X DAC did just that a real brooding fearful future. Some classical. Misa Criolla by Mercedes Sosa was recorded in a large hall and the decay of the music can be easily heard with this DAC and it had great tonal contrasts between the musical instruments. When she sings you feel you have to ‘not speak’ so as to not spoil the moment. The sound was beautiful. Thanks to Ricardo at Absolute Sounds for playing Antony and the Johnsons’ version of Knocking on Heaven’s Door at a recent demo. Some bands play this as a slightly boppy tune, not here. This is a real heartbreaking song and if it does not move you through this DAC you must be cold and dead. Wow. Something lighter please, what an interpretation. On to Fortune Teller by Robert Plant and Alison Krauss (what an unlikely pairing). Yes, they have souped up the bass and added hiss to make it authentic, but this is a real driving song and it has a great groove to it. That is exactly how it sounded. I had to listen to more tracks from this album. I then just carried on playing whatever tune I wanted. Some Led Zeppelin to get things going, some Frank Zappa, some Yes and then some pomp and circumstance from ELP. What a loss Keith Emmerson was. This band worked really, really well. I know some regard this as a travesty of the original classical tracks……well I don’t care. Whenever I hear fanfare for the Common Man, after the powerful intro, I am always waiting for the great Greg Lake bass line to come in. And then some Happy Rhodes. Who? No, she is not some weak imitation of Kate Bush. I love the way she accompanies herself on tracks showing off her 4-octave range. Yes girl and guitar but with real subtlety and intimacy. OK, but how did it compare to my Audionote DAC2.1x? 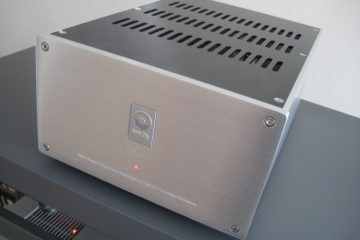 The Audionote DAC has taken on and beaten a lot of other DACs for sheer musical enjoyment. In my living room, it has sounded better than a Metrum Octave, an Esoteric D03 and P03 and a Krell SACD. Elsewhere it has turned on a few people to how great it sounds. It has a great track record (sorry for the pun). OK, I used a few tracks of music (not test tracks) and it was a lot closer than any other DAC. More extensive listening showed that the SW1X DAC II Special sounds better than the Audionote 2.1x!! It is clearer and easier to hear the lyrics, especially of singers like Bruce Springsteen. The emotion of Dido and Aneas Act 3 “When I am laid to Earth” sung by Dame Janet Baker was more intense in the SW1X DAC. I could not quite believe this. In Tin Pan Alley the bass was tighter and it was easier to hear the tone of the guitars. A Clare Teal track of Mountain Greenery really swung and was a real blast and sheer fun. And as before the tone of the bass was more real and easier to hear on the SW1X DAC II Special. I was surprised. 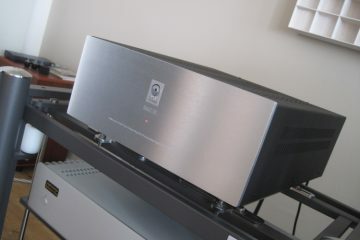 This is a serious DAC. OK, how would it fare against an Audionote 4.1x DAC (the latest version as reviewed by Kevin Fiske in Hifi Critic)? Well, it was not embarrassed but please let’s remember the cost of the 4.1x, £12K. The AN 4.1x had greater dynamics, more intense tonal colour and superbly timed bass. The SW1X DAC II Special was good but could not match the AN 4.1x. However, there are better DACs in the SW1X range. Most other DACs that get compared to the AN 4.1x get laughed off the stage, not this one. Well this DAC has turned out to be a real surprise. 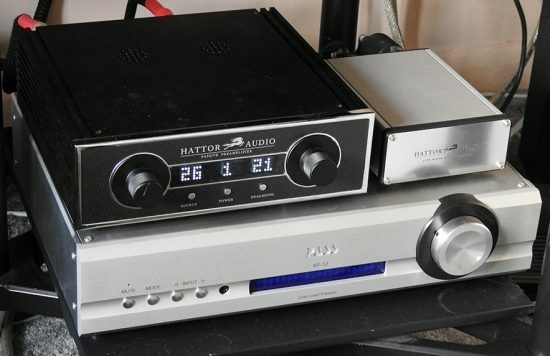 I had heard a previous SW1X Level 1 DAC and I was impressed. But I did not expect the Level 2 Special to sound better than an Audionote DAC2.1x, but it did. So from this small company, we have someone who really listens to his products and that shows in how it sounds. If you are tired of the me-to-DAC circus with new models and more and more specifications every year, with at best a competent sound, try this. You will enjoy it. Highly recommended. 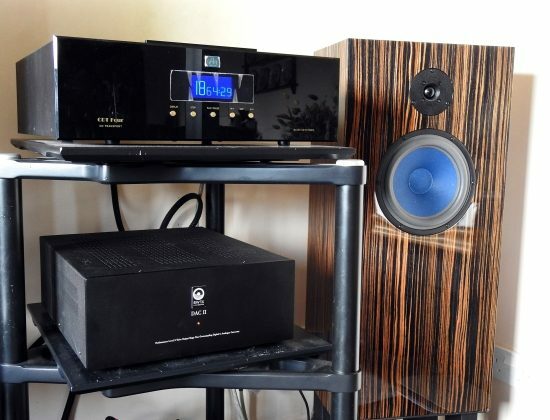 Nice review George thanks and nice system! I have an AN DAC-3 Signature and a pair of AN-J/lx’s. If the Sw1x dacs ever make it to the US will have to give a listen. 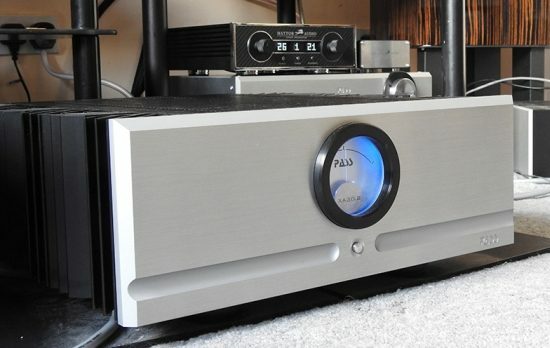 I am glad that the DAC II surpassed everybody’s expectations. 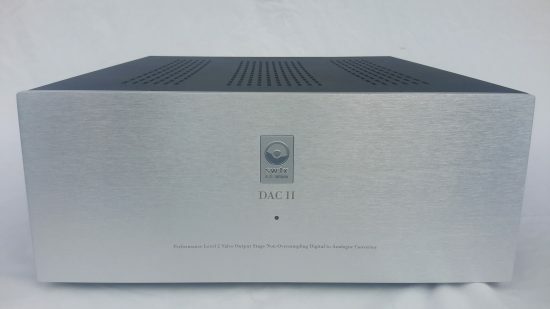 The Special version of the DAC II turned out to be a supercharged version of the DAC II. It incorporates finest sounding but still available components & materials that were harmonically matched to a very high degree. It is worth mentioning that at any performance level, the most effort ends up in the voicing & harmonic matching of the components, which is so decisive about how products are going to sound in the end. Speaking about voicing & harmonic matching, the R&D of materials & components is an ongoing process that tends to be endless (maybe because I am never 100% satisfied with the sound). The lengthy & costly R&D comes with a great upside as new findings and newly discovered components & materials have a great spill-over effect across all products of SW1X. So all our products benefit from it and keep continuously improving. I personally lost the sense of time how long it has taken to develop the DACs II & particularly III, where the upcoming Special, Balanced and Signature versions are still in the state of work in progress. Jon, Thanks for your thoughts. You have a nice musical system there and yes it is an interesting product. Slawa, It was obvious a lot of work had gone into this DAC. It is a shame there are just too many me-to-DACs that do not seriously play music.